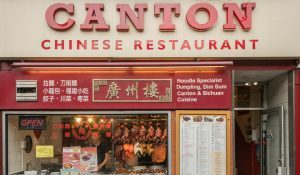 Occupying the corner of Wardour Street and Rupert Court, the bright crimson-fronted Hung’s Chinese Restaurant is an intimate and informal venue, where you can expect a tasty Cantonese meal at great value for money. 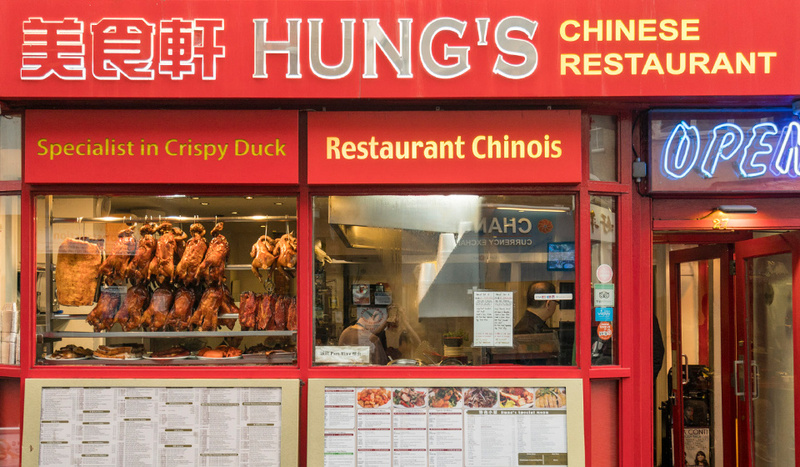 As you may be able to tell from the ducks on display in the window, BBQ meats are a signature Hung’s dish. If you’re indecisive (or feeling greedy) opt for their Mixed Three Kinds Barbecued platter, where you can choose from a hearty selection of duck, soya chicken, pork or crispy belly pork. 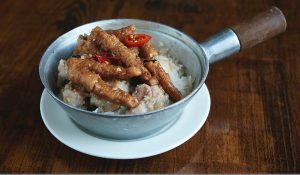 They do plenty of popular favourites like crispy Sweet & Sour Chicken Balls and crunchy Deep Fried Shredded Chilli Beef too. And their roast duck, chicken, or BBQ pork with rice lunch offer is pretty good to boot. 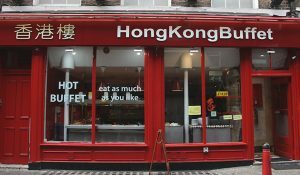 Popular with Chinese locals, what make’s Hung’s special is that, unlike many places in Chinatown, it opens at 10am for breakfast. 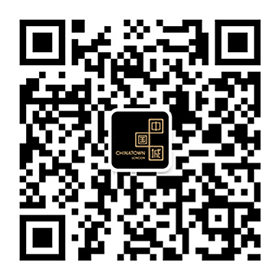 A great time to sample their congee, a traditional Chinese rice porridge. It even has a super-fan in the form of Jason See Ming Hwa, head chef at Harrods’s Chai Wu. Not only does it open early but Hung’s stays open super late (until 4am every night) so it’s a perfect pit stop for hungry night owls.